His distinctive prints have taken the world's most influential cities by storm and captured the attention of international celebrities after selling out at his first solo show in 2003 - it's fair to say Russell Young (1959-) is something of a sensation. Young is best known for his bold and controversial 'anti celebrity' portraits. Emulating the distinctive style of Andy Warhol, the original creator of the celebrity image, Many of Young's impressive works showcase the darker side of celebrity culture, revealing the inner torment of stars under the scrutiny of the public eye. His unique portraits have fast become highly prized collectables among those in the public eye, with fans such as Barack Obama, Brad Pitt, Elizabeth Taylor, David Bowie and Balthazar Getty. His work has been auctioned at Sotheby's and Christie's. The British born artist moved to London after studying photography, film and graphic design but initially struggled to find a job. After months spent on the streets, Young was taken on as an assistant by photographer Christos Raftopoulos, where he photographed live club shows of REM and the Smiths. These photographs found him fame and he eventually began accepting commissions from the likes of George Michael (for the album sleeve Faith), Bjork, Bob Dylan, Paul Newman and Diana Ross, before moving on to direct music videos for MTV. Russell Young's inspirational work has been shown in some of the most influential cities across the globe, including London, Paris, New York, Los Angeles, Berlin, Singapore and Tokyo. Now an internationally acclaimed artist, his work has gone from strength to strength since moving back to California with his family, where he is focusing on life as a painter and artist. © If artwork shown on ArtFair is already sold or unavailable for immediate sale, we'll do our utmost to source a similar edition for you. ArtFair is a trading name of LeadFair Ltd. Co. Reg. Number 08565869. Reg. Address: Swift House, 18 Hoffmans Way, Chelmsford, Essex. CM1 1GU. Registered in England and Wales. VAT Reg. No. 169725662. Registered with the Information Commissioner's Office: Data Protection Reg. No. ZA025012. Artwork prices can go up or down. ArtFair offers fine art, contemporary art, urban art, pop art, and modern art through our own collection and our global network of art gallery partners, art dealers and private collections. 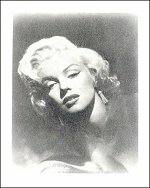 Keywords: Russell Young Art For Sale, Marilyn Glamour.